If you've heard of this small city in northern lower Michigan at all, you might know it as the Cherry Capital of the World (or at least of the US) thanks to the fact that it grows the majority of the cherries in the United States. 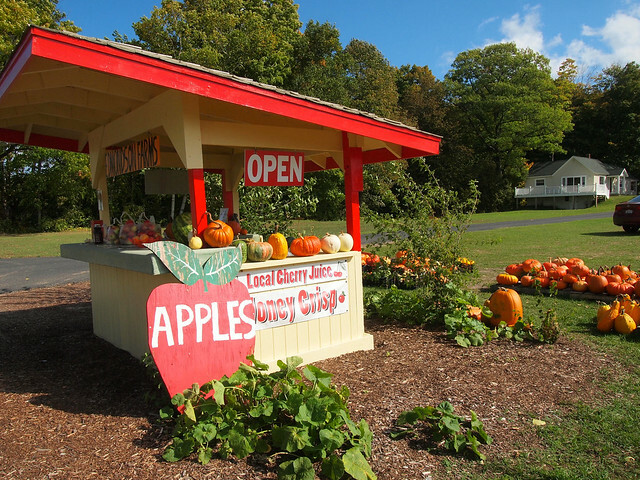 But if you can't make it to Traverse City's National Cherry Festival in July, don't worry — this city is actually great to visit in other seasons, too. 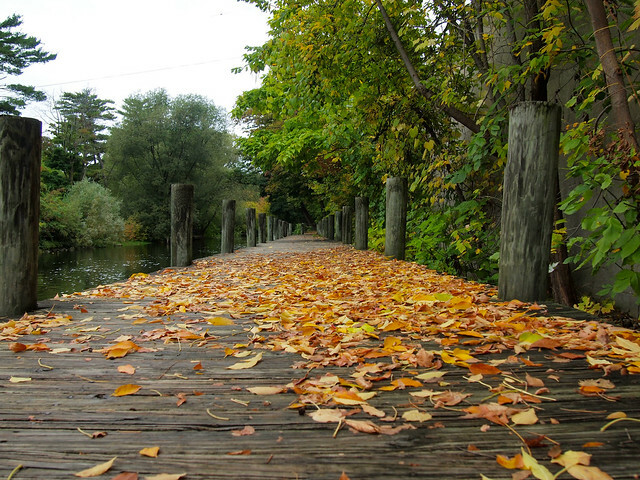 And if you have to pick a season other than summer to visit Traverse City, I would tell you to pick fall. In the fall, Michigan transforms from green forests and blue lakes to a cacophony of other vibrant colors — reds, yellows, oranges, even purples appear in the trees and reflect off the state's many lakes. And this is especially true in and around Traverse City. 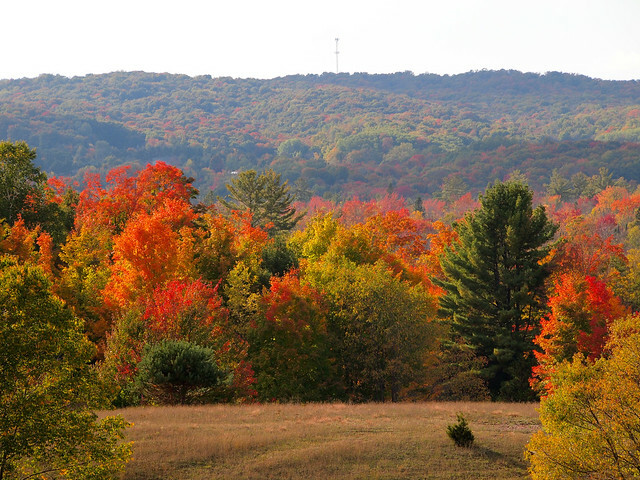 One of the must-do things, of course, is to take a drive (or multiple) to enjoy the area's fall foliage. You'll find some right downtown, but I'd also recommend driving up into the Leelanau Peninsula around tiny towns like Cedar to see some of the best displays. 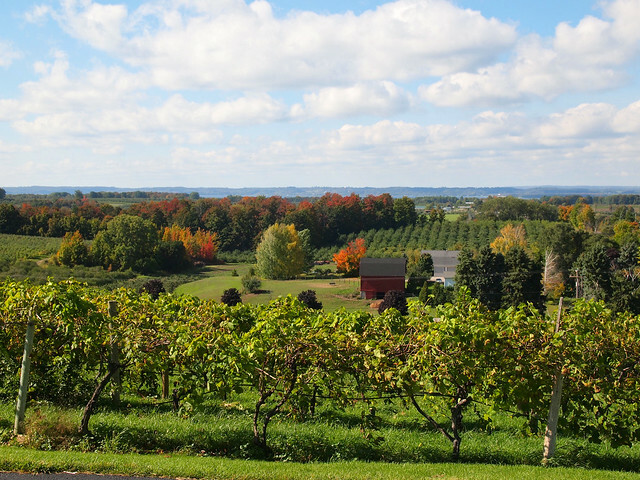 Set aside at least one day to explore some of Traverse City's local wineries and distilleries — it's not ALL about cherries up here. 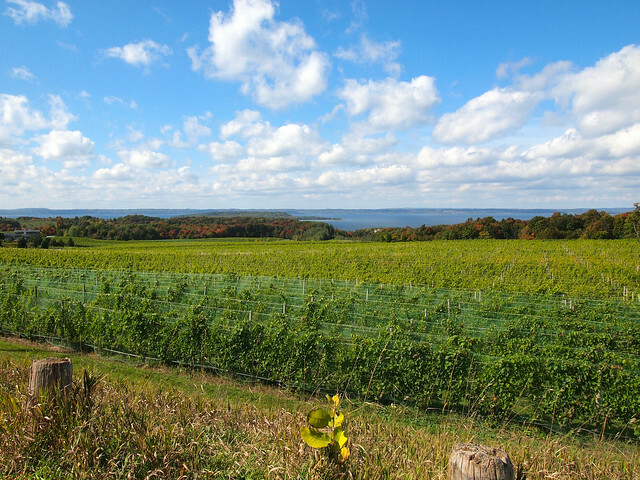 The Mission Peninsula is a definite must when it comes to wineries. Drive up one side and down the other, stopping at least once or twice. If you want wine AND a great view, make Chateau Chantal one of your stops. 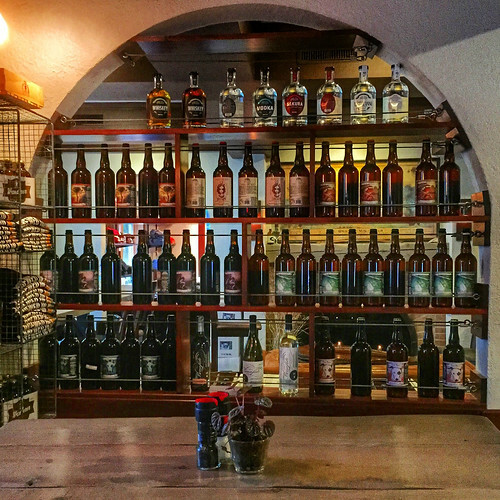 As for distilleries, the must-visit is the Grand Traverse Distillery. They have a tasting room in downtown Traverse City, but if you drive out to the actual distillery you can do a quick tour and four tastings (complete with souvenir tasting glass) for about $10. They are known for their True North vodka, which has won tons of awards, but also have bourbons and rums and gin, too. 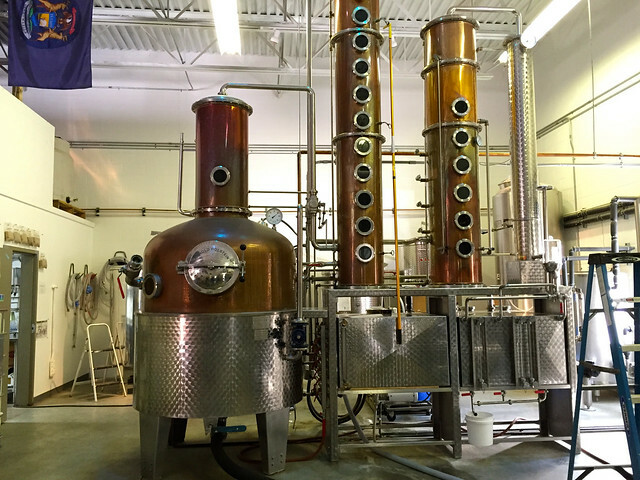 This is a true craft distillery, distilling just one batch at a time. What do you do when you have an old, sprawling former mental asylum sitting unused not far from a small Midwestern city? You turn it into a hub for food, shopping, and living, of course! At least, that's what Traverse City is doing with the old Traverse City State Hospital, which served as a mental institution from 1885 until 1989. 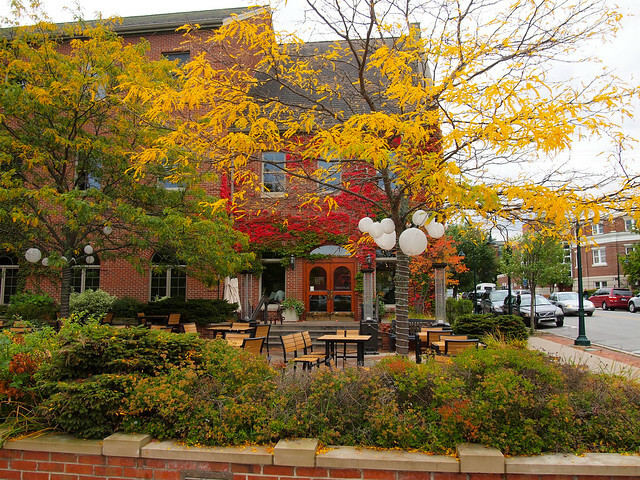 Now, it's the Village at Grand Traverse Commons. 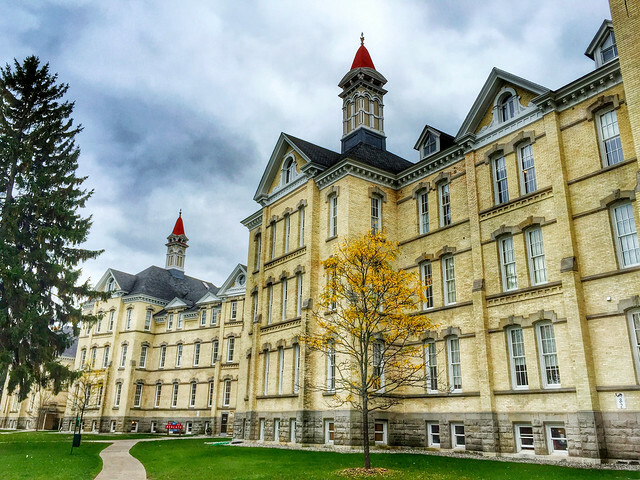 The story of the building is actually pretty amazing — unlike those horrid places you've seen on TV, the Traverse City State Hospital was actually very progressive, adopting a “beauty is therapy” philosophy very early on. Today, the whole site is being converted into shops, restaurants, offices, apartments, and even condos. They are still in the restoration process, though, meaning you can still see how things looked after the hospital fell into disuse. I highly recommend the 2-hour historical tour here — for $25 you can learn all about what the buildings used to be and what they will become. 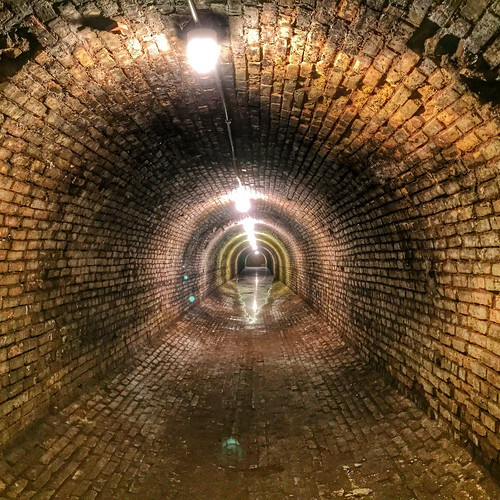 And the tour ends with a trip down into the old underground steam tunnels; and who doesn't love a good underground tunnel, especially right around Halloween?? Even though the cherries have long since been picked, there are plenty of other harvest-related activities and foods this time of year. Like apples. 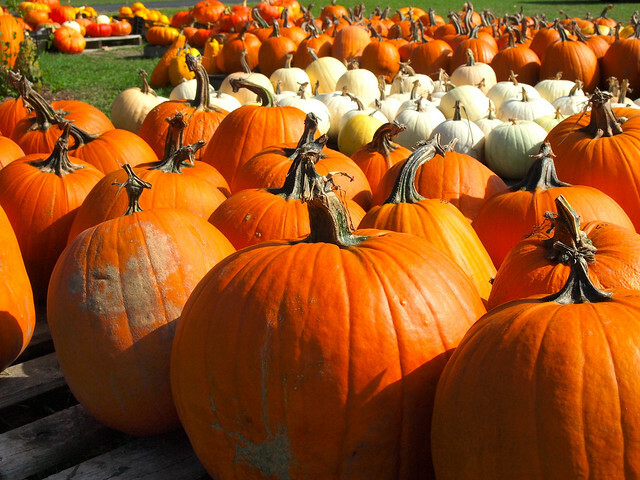 And pumpkins. You can find many of them for sale at adorable roadside stands all throughout the peninsulas near Traverse City. 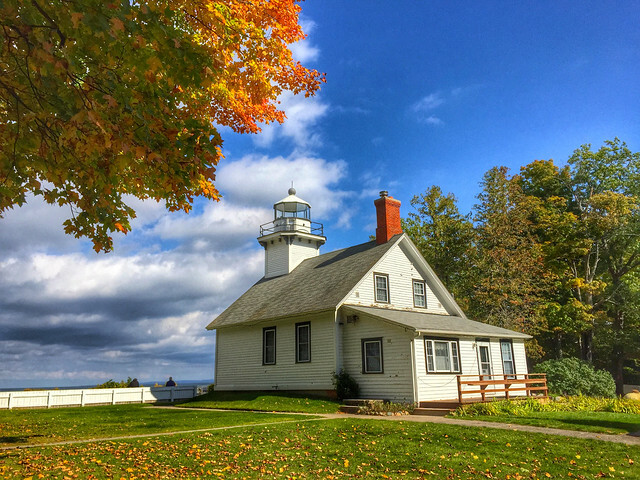 Take a drive out to visit the Mission Point Lighthouse on the Old Mission Peninsula, and stop to pick up some apples for snacks along the way. 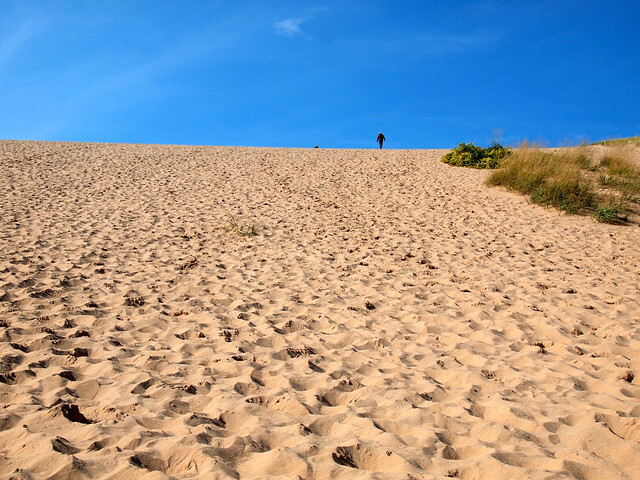 You can't visit Traverse City without making the 25-mile trip out to Sleeping Bear National Lakeshore and its impressive sand dunes standing sentinel over Lake Michigan. This place was voted the most beautiful place in America a few years ago, and it certainly does feel that way on a sunny autumn day. And, even though there are plenty of day trips and half-day trips to take from Traverse City, don't skip the city itself! Wander down Front Street for some shopping, check out the State Theater and its glittering marquee, take a stroll along the river or lakefront, and plot out where you're going to eat (there are lots of options!). So pretty in the fall! Where to stay in Traverse City: If you don't mind being a little ways outside of town, consider staying at the Grand Traverse Resort and Spa. With shops and a spa and multiple golf courses, it's a great getaway spot. If you want to be closer to downtown, the Bayshore Resort located right on the lake shore (with a beach of its own out the back) is within walking distance of downtown. 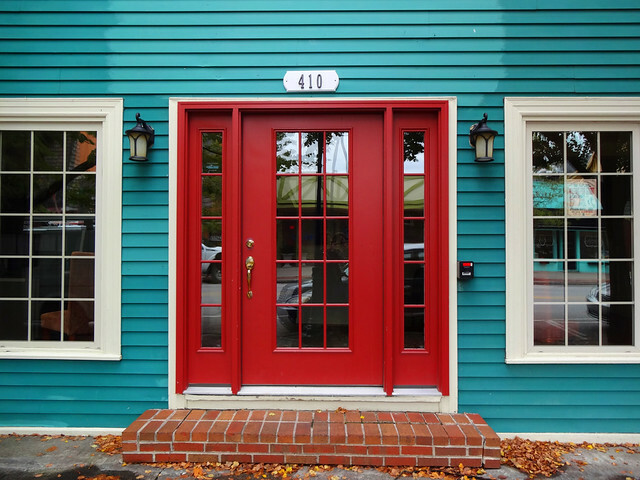 Or you can compare Traverse City hotel prices here. 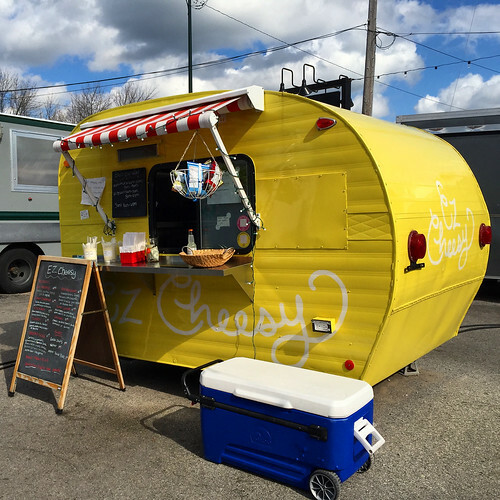 Where to eat: Traverse City and the surrounding peninsulas are full of great places to grab a bite. Some of my favorites included the Jolly Pumpkin (on the Old Mission Peninsula), Bubba's (in downtown Traverse City), Aerie (the restaurant at the top of the Grand Traverse Resort and Spa), and The Little Fleet (a collection of food trucks in downtown Traverse City). 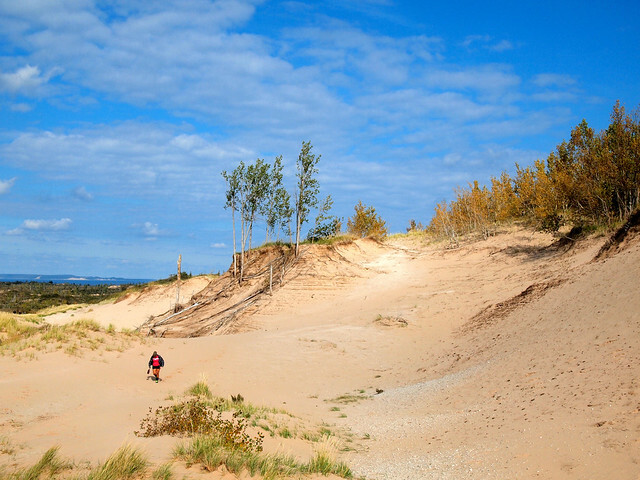 Have you ever been to Traverse City? If not, would you like to go? *Note: Big thanks to Traverse City Tourism, the Grand Traverse Resort and Spa, and the Bayshore Resort for hosting us during our trip! Yeah I was surprised by how much I really liked it! It was really lovely, and I can definitely picture going back again someday. I was wondering about the Traverse Commons project! I hadn’t heard much about it recently, but I’m excited to see how it all turns out! It’s coming along! Definitely a really cool project – I love when old, historical buildings are saved and repurposed! Ahhhhhhh I just love Autumn!! And I never get to see the leaves change like that in LA! Great post, thanks for sharing. We’re pretty lucky in the Midwest to get all 4 seasons. Fall is definitely my favorite! Yes, definitely another good suggestion! wow! these pics just make me want to pack my bag! those colours are beautiful! Aren’t they, though? Benefit of living in this part of the US! Honestly I’ve never heard of this place before but it looks so pretty. Cherry capital of the world you say?! LOVE cherries, have to read more about this. I didn’t really know much about it before we went; I’d just heard great things about it from others. And it was fantastic! A very pretty part of Michigan. The historic tour was super interesting, and it was fun to go into one of the old, un-renovated building. But no, I didn’t see the cow’s grave! I loved it so much – definitely a place I would return to! 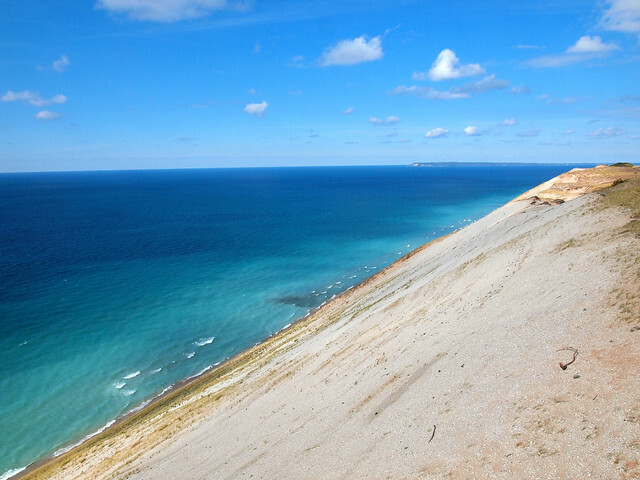 I never really thought about visiting Michigan much in the fall, but it sounds perfect!! 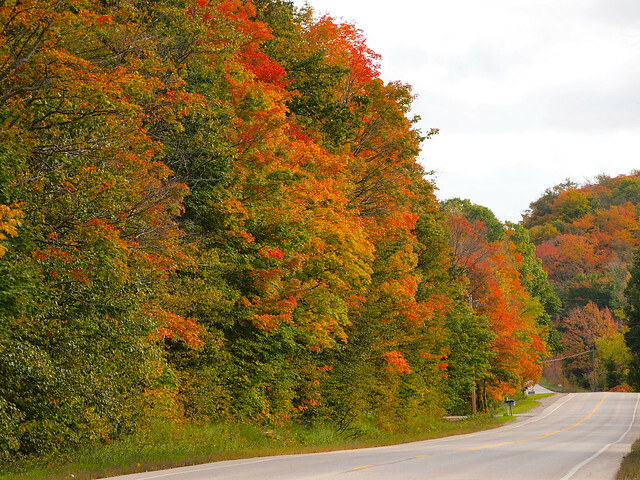 All of those colors… and I think Traverse City is just a few hours drive for me. Oh you should so do it next year! The colors were so pretty, and Traverse City is a great little town. My hometown, I miss it terribly & will go back one day. 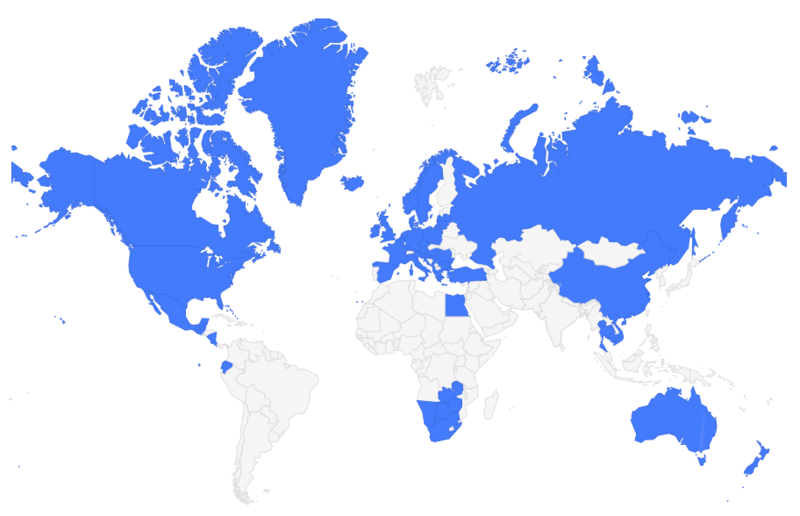 My visits are few & far between since the passing of my parents. But it is still my favorite vacation area, any season, but especially fall!!! Thanks for highlighting it!! It really is a special little place! I was actually just thinking of it earlier today, and remembering how great that trip was! I’m from the area, but with being in NoMi and with everything being so commonplace, sometimes it’s easy to forget to relish in the magic that seems to be around every corner. Thanks for the reminder! The colors are already starting to show up here again… Time to haul tail to the Commons! ? Enjoy it! It’s a beautiful time of year to be up there!